Shane Black has, over the years, invented and re-invented the buddy cop formula, all the way up to this weekend’s The Nice Guys. Most of the time in his films, the “buddy cops” aren’t even cops, but private eyes. Or, in the case of The Last Boy Scout, a disgraced former Secret Service agent turned private eye and a disgraced former Quarterback railroaded out of the league. This is a film unlike anything we’ll ever see again – had it come out today the PC police would have a field day – and the fact it ever made it through the production and editing process is a minor miracle. Not to mention the fact it’s actually a great film, warts and all. The Last Boy Scout is, in essence, another Shane Black buddy cop flick, rife with witty dialogue and full of homophobic bro-ness that was still very much a part of the action cinema scene in the late 80s and early 90s. That’s not why it’s great (that’s why it’s dated and seemingly a time capsule film that would never happen today. And shouldn’t ever happen today), it’s great because of Black’s writing and Tony Scott’s direction. Not because of what Scott delivered on screen, but what he managed to make it through behind the scenes. Back in 1991, Bruce Willis was slowly morphing into the egotistical, unmanageable prick he is today, and teaming him up with mega-producer Joel Silver was a match made in hell for Scott and Black. Willis and Silver hijacked the set, changing entire scenes to their liking, threatening to fire Scott, and angering everyone else on set. Willis and Damon Wayans, who plays disgraced QB Jimmy Dix, hated each other, which was effective for the majority of the picture since Dix and Joe Hallenbeck (Willis) butted heads throughout the film. The working print of The Last Boy Scout was rumored to be unwatchable, mostly because of the strife between everyone behind the scenes. Warner Bros. brought in Stuart Baird to re-edit the print to try and give it some sort of linear narrative. He did the best he could, but the continuity issues are still noticeable. One particular sequence at Hallenbeck’s home seems to move from dark to light and dark again. And yet, with all the issues surrounding the film, Shane Black’s razor-sharp wit still manages to define the film. The strength of the script, which Black sold for a record $1 million at the time, elevates this pulp narrative beyond something easily forgotten. Willis and Wayans, despite their hatred for one another, manage to carry the film with a surprising amount of rapport and charm. And the late arrival of Taylor Negron as the prim-and-proper villain Milo ramps things up to eleven. The action set pieces are astounding, and the story surrounding corruption in pro football still feels relevant; though we’ve still never had any player open fire in the middle of a game. The Last Boy Scout was Tony Scott’s miracle in Los Angeles, and he (along with Silver) called it one of the worst experiences of his professional life. 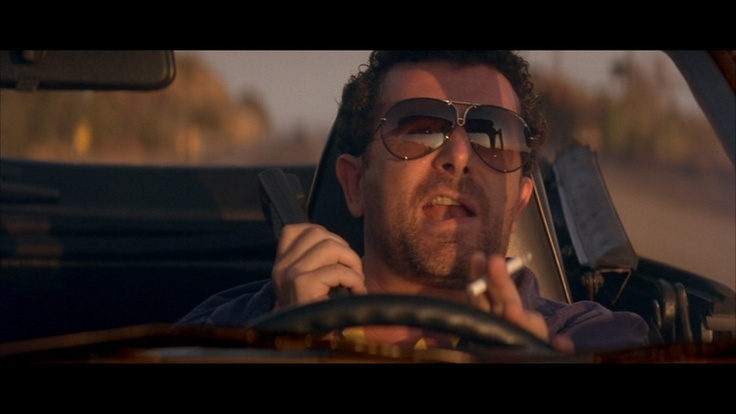 It’s no coincidence that Lee Donowitz (Saul Rubinek), the sleazy producer in the third act of Scott’s True Romance, bears a striking resemblance to Joel Silver.